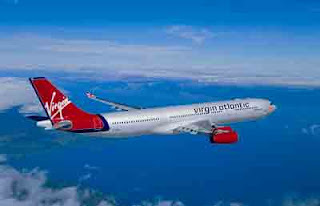 According to El Quintanarroense local news- ¨Roberto Borge Angulo,Governor, advises that air connectivity of Quintana Roo, including Cancun, strengthened by the London-Cancun, British airline Virgin Atlantic. The Chief Executive said that this flight will originate in London Gatwik airport, will start operating in the near future and added to others will link to various points abroad, as the New York-Cancun-Miami and Cancun, Aeromexico and Paris, Cancun, Air France, which opens on September 21. In addition, there is interest for connecting Cancun with Sao Paulo and Rio de Janeiro, Brazil. According to the chief executive, Virgin Atlantic will operate two weekly flights from London-Cancun route with a 747-400 aircraft with 14 seats in first class, 59 business class and 379 economy class. Route is estimated to generate an outlay of 25 million dollars a year to Cancun. Cancun will become the thirty-third destination for the airline in the world, which will help increase the flow of tourists between both countries and contribute to the attainment of the goals of the National Agreement for Tourism. The president of Virgin Atlantic, Richard Branson, said that "Cancun is one of the top five leisure destinations in the world, so we are pleased to add this route to our network."